The oldest active aircraft carrier in the world will be converted into a docked museum when the ship, now in the Indian Navy, decommissions next year. INS Viraat (R-22) was commissioned in 1959 into the Royal Navy as HMS Hermes (R-12), the last of the Centaur-class conventional aircraft carriers. It was transferred to India in 1987 after undergoing refits and equipment upgrades, according to The Tribune in India. After 57 years of service life, the ship will decommission in 2016. The Tribune reported that Andhra Pradesh Tourism Development Corporation (APTDC) authorities received an in-principle approval from the Ministry of Defence to convert the ship into a museum at the Kakinada port in the Bay of Bengal, on the eastern shore of the country. The state government in Andhra Pradesh will invest more than $3 million in converting the Centaur-class aircraft carrier. The ship’s main structure will stay in tact during the conversion process. Viraat’s service life surpasses the longest-serving American carrier, USS Enterprise (CVN-65), by seven years. 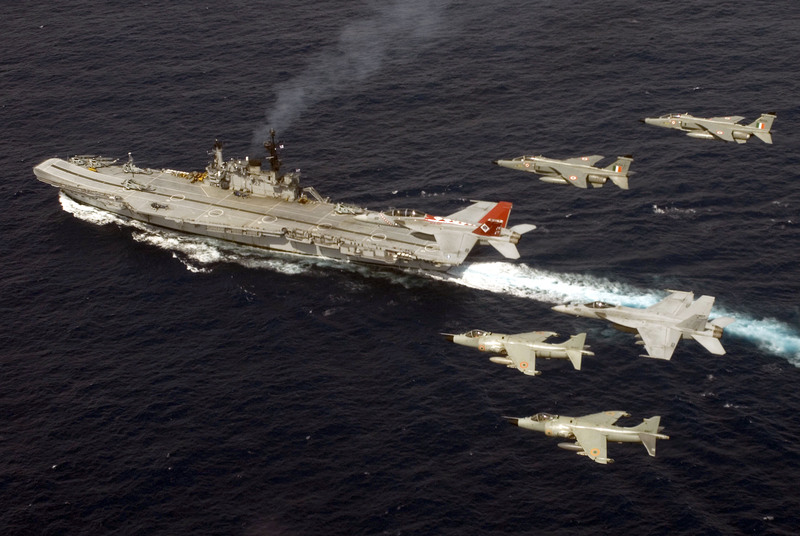 The Indian Navy intended to decommission Viraat in 2009, but the refurbishment of Soviet-built carrier INS Vikramaditya (R-33) was delayed so Viraat underwent additional refits and continued its work. While in the British Navy, Hermes underwent several modifications to serve as an anti-submarine support ship, a commando carrier and a jump jet carrier. Hermes was outfitted with ski jumps for the Harrier vertical/short takeoff and landing jet just in time for participation in the Falklands War with Argentina. “Within 72 hours Hermes was prepared/stocked and her crew re-called from leave,” according to the HMS Hermes Association in Great Britain. Hermes left its homeport three days after war broke out, in early April 1982, and served as the flagship of the British naval presence in the Falkland Islands until the ships came home in July, according to the association. India’s request to buy the carrier was approved in 1986, and the ship joined the Indian Navy in 1987. While in the Indian Navy, the ship was the sole aircraft carrier in the fleet for a period of time. 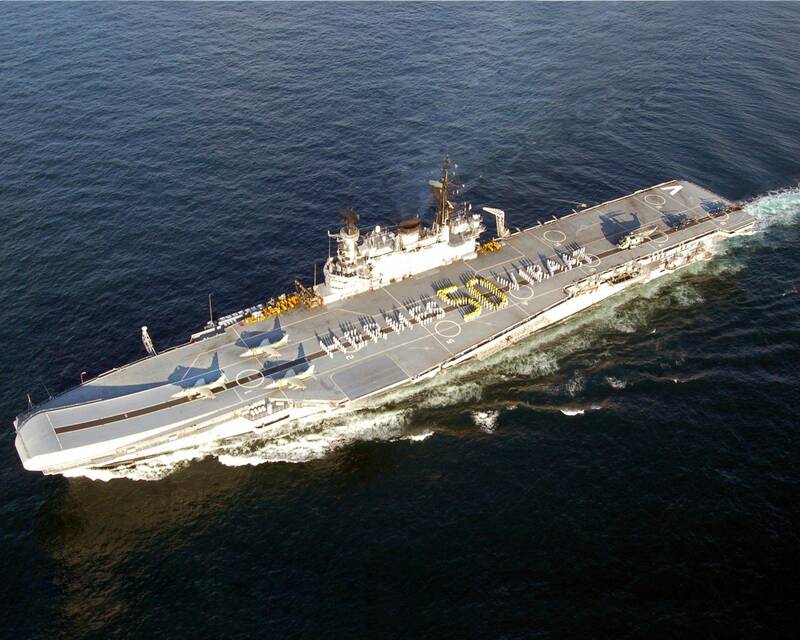 Its decommissioning will leave Vikramaditya as the sole carrier until the new INS Vikrant enters the fleet. The ship is sometimes referred to a “one-Harrier carrier,” according to an unnamed source in the article.